The C. Bechstein Millenium 116K upright piano is modern and puristic, “more than meets the eye.” A traditional and proven C. Bechstein engineering with all the quality features of the masterpiece series. You get so much quality, so much image at an affordable price! The C. Bechstein Millenium 116K upright piano has won three prestigious international design awards. The three awards are the Good Design Award, IF Hanover Product Design Award and IF Gold Design Award. The assessment criteria of the jury concern the interaction of product quality, form, material, design, usability and aesthetics. It is also about functionality, aesthetics, creativity, originality and innovation. Fabricators of the piano model, “rommel and schoen” in Schwäbisch Gmünd, have worked in close collaboration with C. Bechstein’s R & D department to create a design that combines the musicality and modern product design. The C.Bechstein Millenium 116K upright piano is in a class of its own. Let yourself be seduced by the charm of a unique piano in the masterpiece series. Compact and tuneful, colorful and wonderful to play. The C. Bechstein Millenium 116K upright piano acts as solitary as well as perfectly integrated into your stylish interior. 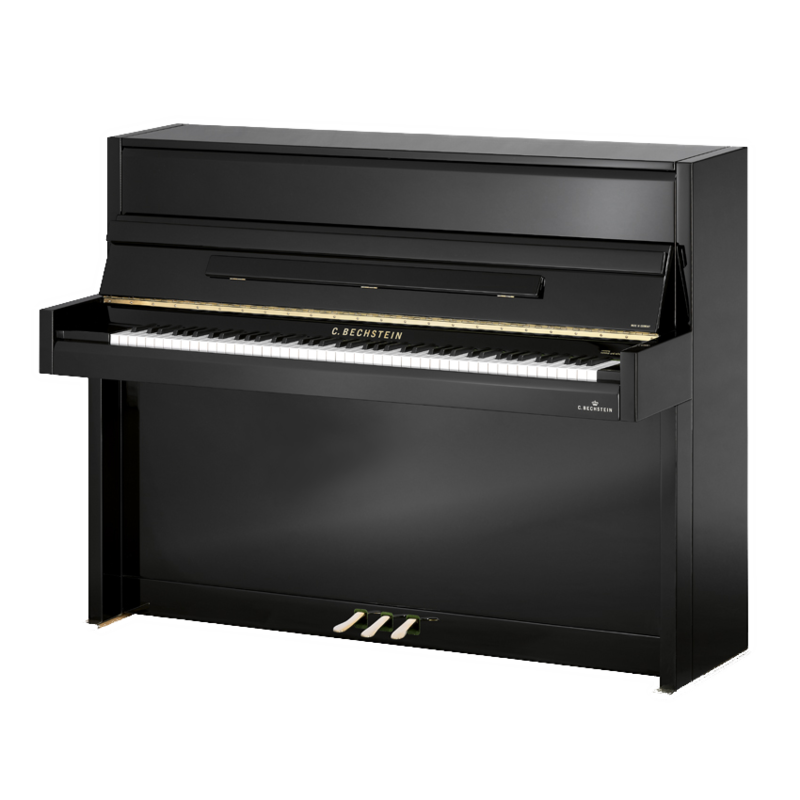 The C. Bechstein Millenium 116K upright piano can also be equipped with the C. Bechstein Vario System, which allows you to practice day and night without being overheard. Characteristics C. Bechstein upright Millennium 116K – award-winning premium piano.